An unsung Buffalo builder stands tall in the company of Wright and Olmsted. Artistry and craft meet location, location, location. One more contribution to America’s heritage architecture. World-class photographers share their favorite place. From condemned building to award-winning bungalow. 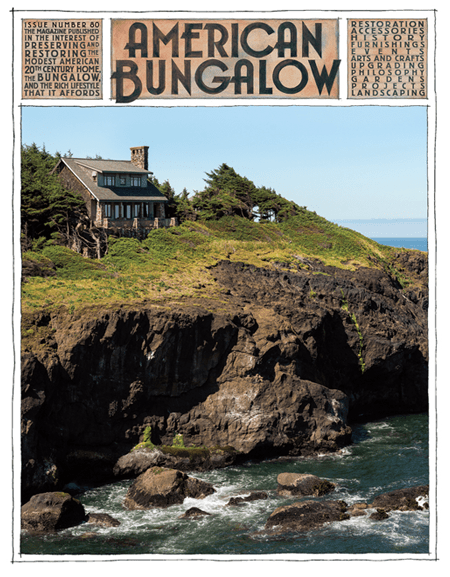 Readers share their thoughts on exterior paint color, industrial paintings and our Summer 2013 cover. Exploring the wealth of “generic” Arts and Crafts furnishings. Creativity and business sense merge to create a passion that makes homes beautiful.